The "ijuswannadanz" Youth Outreach Program is geared toward youth and teens that might not have the opportunity or resources to experience the joy of dance and other performing and visual arts. This program provides discounted and free sponsored classes in Hip Hop, Praise Dance, Mime, Tap, Jazz, Ballet, Modern, Theater arts, and Vocal/ Piano coaching to children and teens between the ages of 3-18 in programs such as Big Brothers Big Sisters, Riverside Adolescent Youth, United Way Kids Way, and others. To sponsor a child, please take a moment to fill out the form below. We welcome your gifts as well as your comments. As with any business there are numerous everyday expenditures associated with running a safe and successful operation for our kids. While business is flourishing we value any assistance and/or support from our local community and other surrounding areas. The donations will aide in providing Scholarship awards and grants to deserving students to attend performing arts schools as well as providing sponsored dance classes for children in groups such as Big Brother Big Sister, and many other charitable affiliations. Plie' Package - $5.00 - $50.00. Flyers and business cards for your company will be displayed at our center. Tondu Package - $51.00 - $150.00. Flyers and business cards for your company will be displayed at our center. A link to your website will be added to our community page on our website. 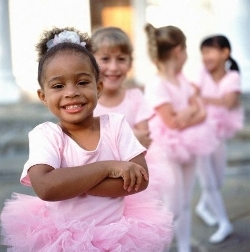 Pirouette Package - $151.00 - $500.00. Flyers and business cards for your company will be displayed at our center. A link to your website will be added to our community page on our website with a featured article about your business. Your logo will be on all advertising flyers sent out for a year. Grande jete' Package - $501.00 +. Flyers and business cards for your company will be displayed at our center. A link to your website will be added to our community page on our website with a featured article about your business. Your logo will be on all advertising flyers sent out for a year. Your logo and website will be added to all outgoing e-blasts for a year.